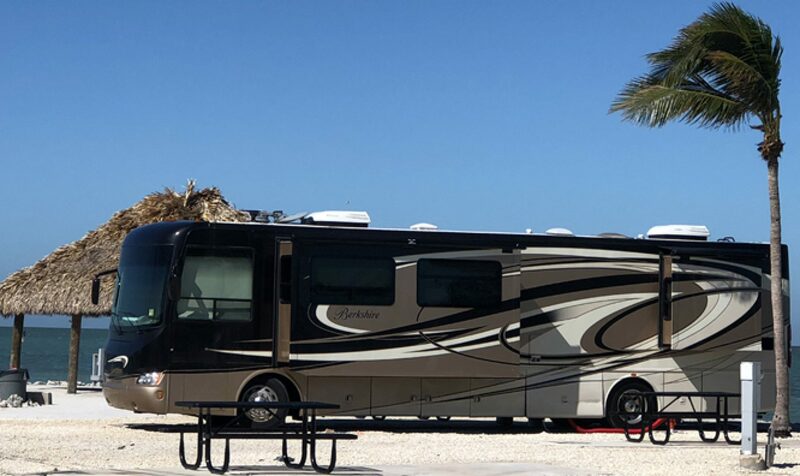 The big dream for many Campers and lovers of the great outdoors is the desire to one day get an RV, regardless of whether it’s a big motorhome, a nice Fifth-Wheeler or an efficient camper trailer; and hit the roads full=time. But, too often the biggest problem with such a dream is finances, so a lot of the campers get jobs at campgrounds during parts of the year and not only stay there cheaply or free, but they also make a little extra cash to tide them over for the next leg of their travels. This page includes links to a few of the better web sites that have information on part time and full-time Work for Campers and RVers. So, if you want to travel the USA in your RV, but need a little extra money to survive, these sites can give you valuable information for getting jobs that fit your lifestyle. Work Camping is a company that provides lists of jobs as well as manages access to many companies in the Camping industry. Click here to see the site and possible opportunities for work for Campers who want to work their way around the USA. This site is yet another popular resource management company that specializes in State and Federal Park management and support resources. Seasonally, there are listings here for up to hundreds of jobs at campgrounds around the country. This site is run by a company that charges a fee, and provides access to; campgrounds, theme parks, state parks and national parks around the country that hire part time and seasonal workers. I haven’t used them (yet), but they seem reasonable and I have met others who have used them and they were happy with the experience. Looking for a way to stretch your camping dollars as you travel the USA? Click here for some great sources of work. This site has a lot of good information for RVers who are looking to work part time or Seasonally, or to just do Volunteer work. Copyright, Don Bobbitt, February 3, 2016, All Rights Reserved. You are free to use snd enjoy this article and and share it with others, but if you wish to use it commercially, you must have written permission from the Author.